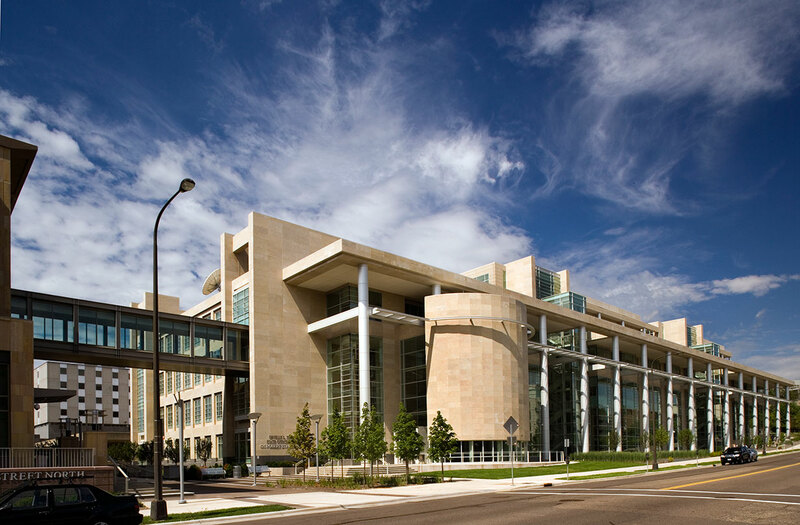 The warm radiance of the Freeman Building for the Minnesota Departments of Agriculture and Health reflects both the timeless beauty of Minnesota’s agricultural landscape and the surrounding architecture of the Capitol District. 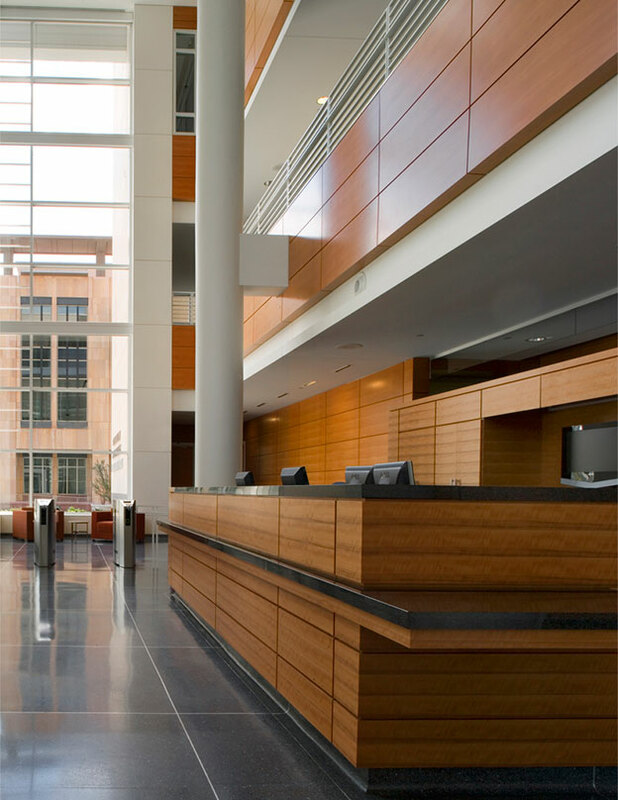 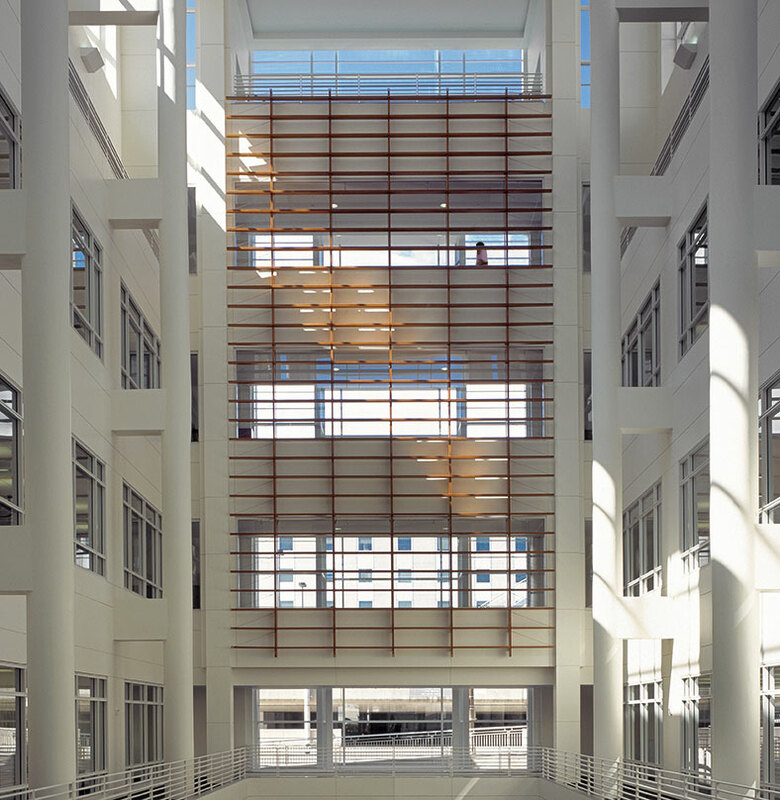 The warm, light qualities of the building continue indoors where a skylit atrium and windows maximize natural lighting. 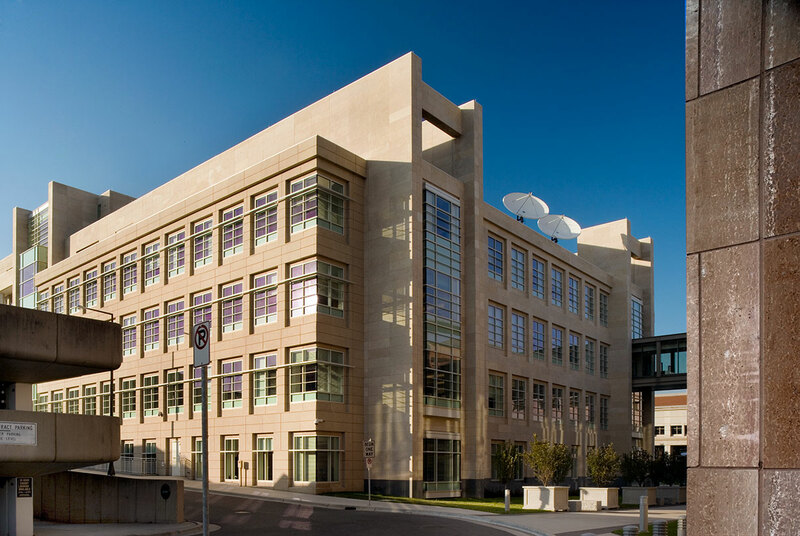 That and other sustainable design strategies render the building physically—as well as aesthetically—true to the missions of its occupying agencies of agriculture and health. 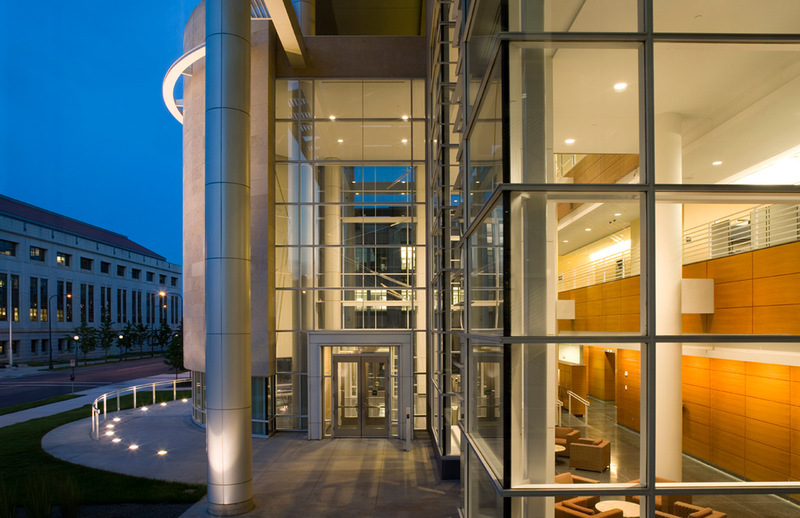 The Freeman Building addressed complex demands of its prominent site. 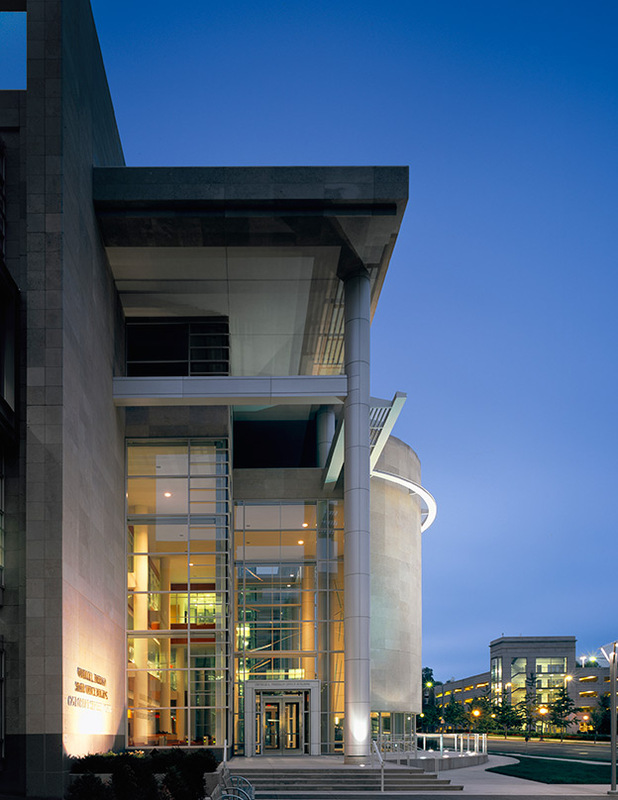 Capitol District guidelines influenced the building’s massing, while neighboring historic buildings informed its character. 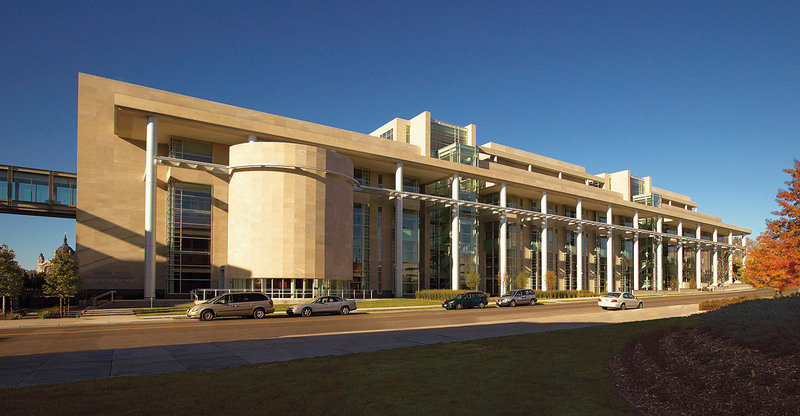 The building’s fenestration, entrances, and circulation patterns consider the adjacent laboratory, plus a proposed light rail transit station to the east, surrounding buildings, and government security concerns. 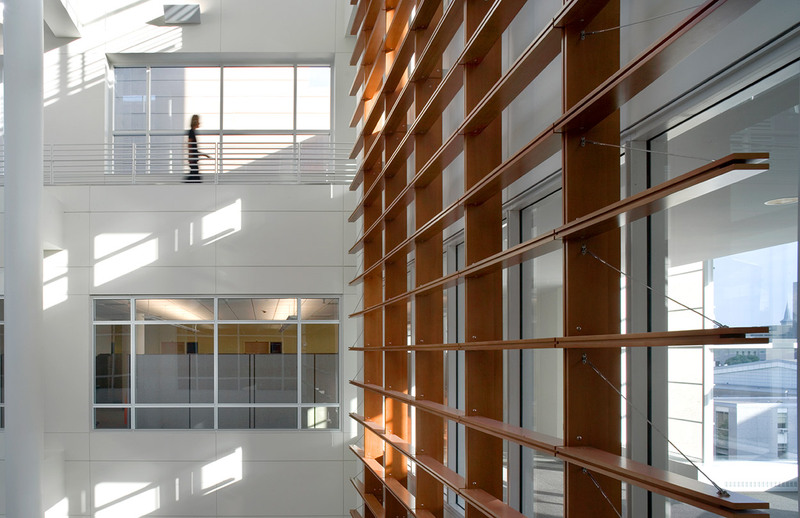 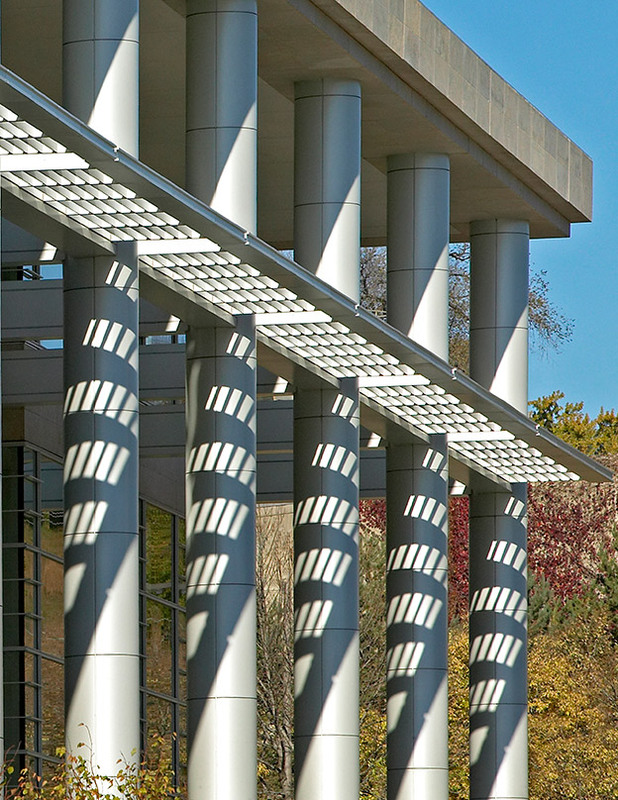 In 2007, the Connecticut AIA recognized the Freeman Building with an Honorable Mention.